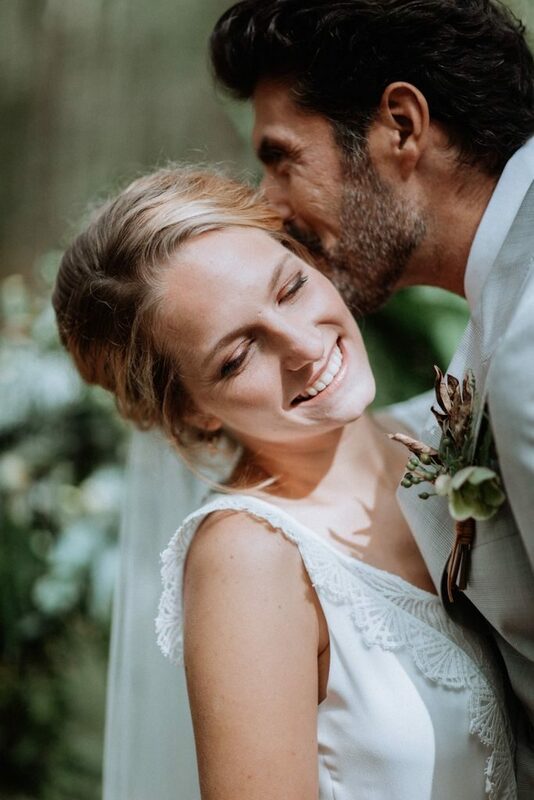 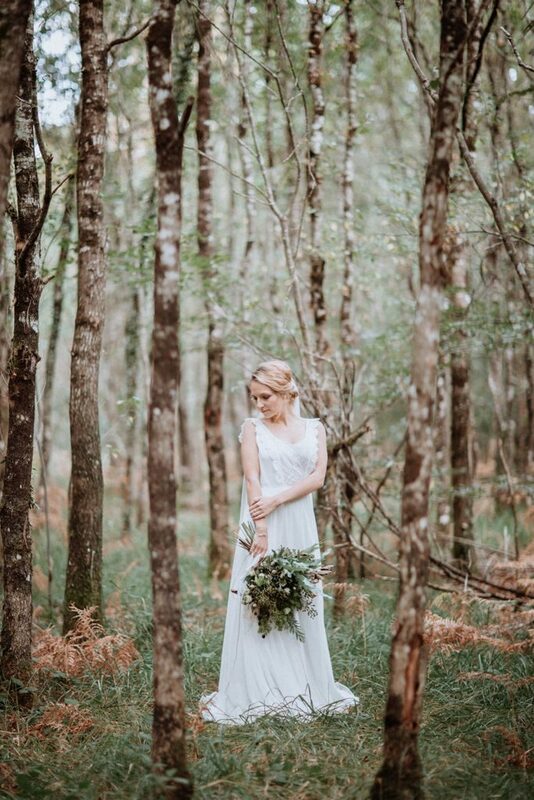 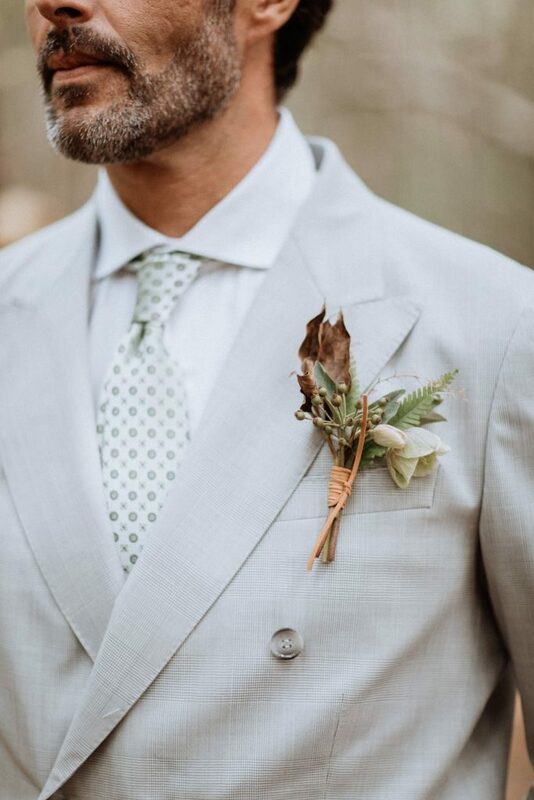 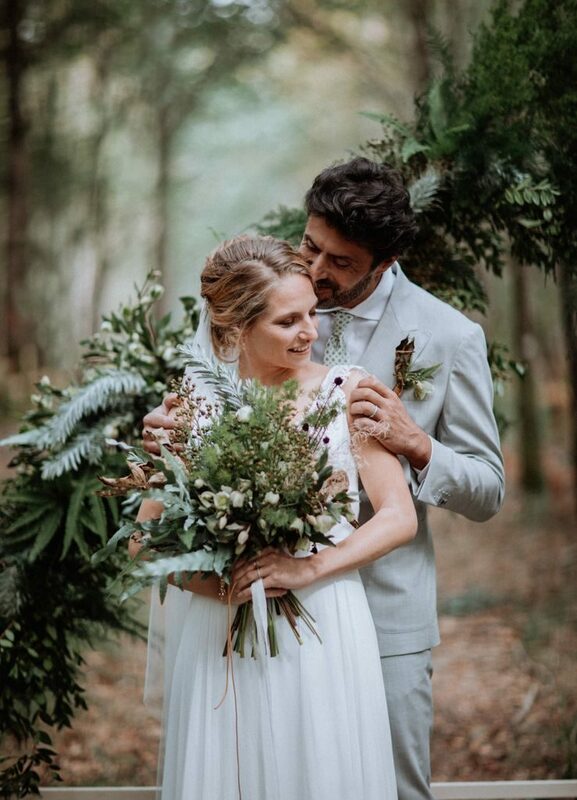 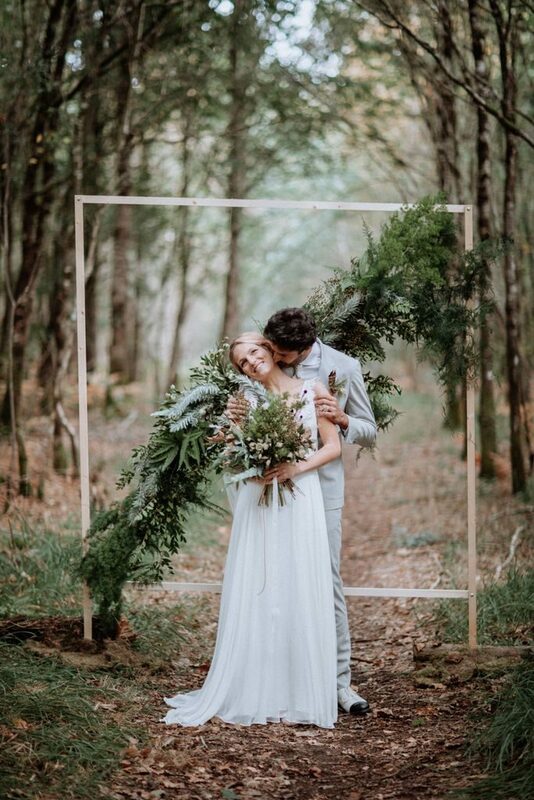 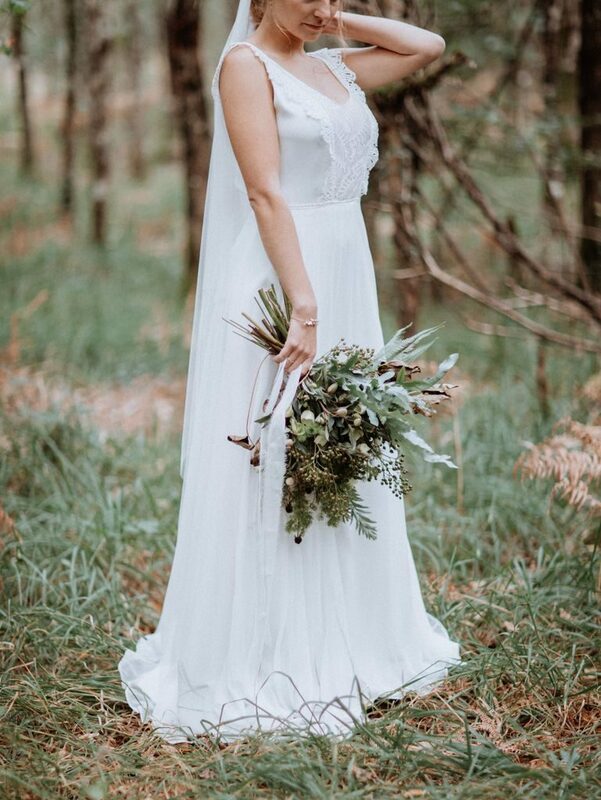 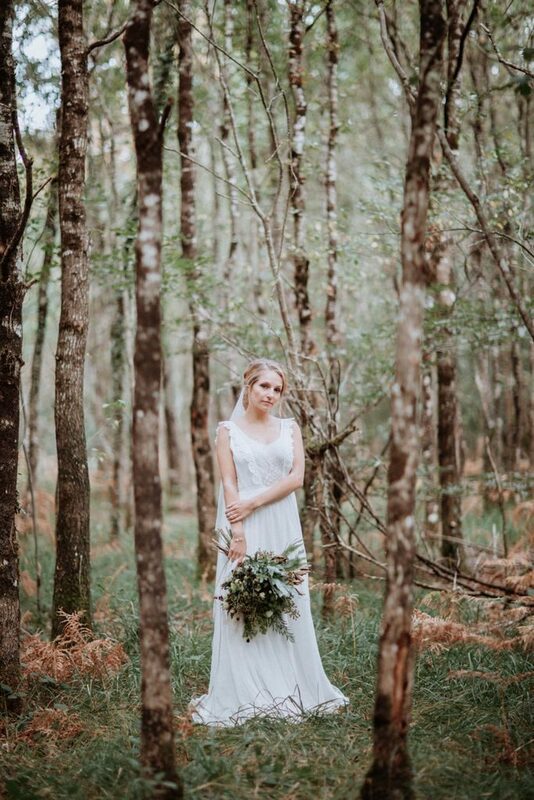 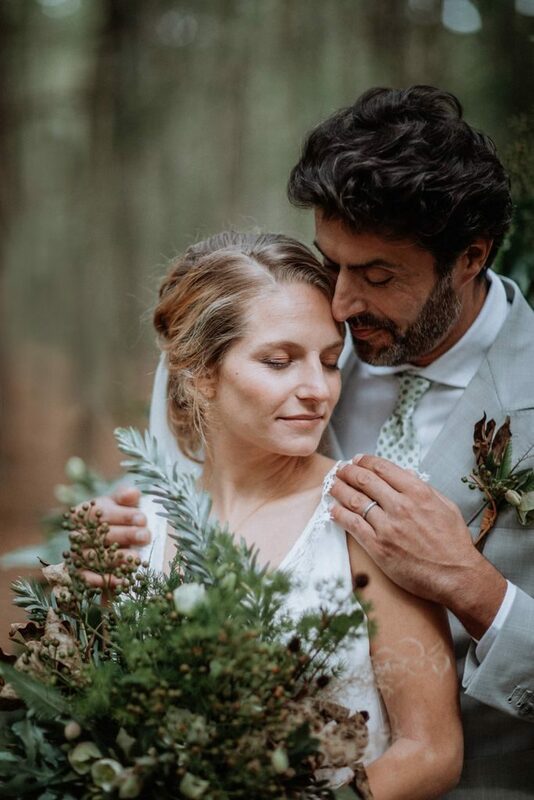 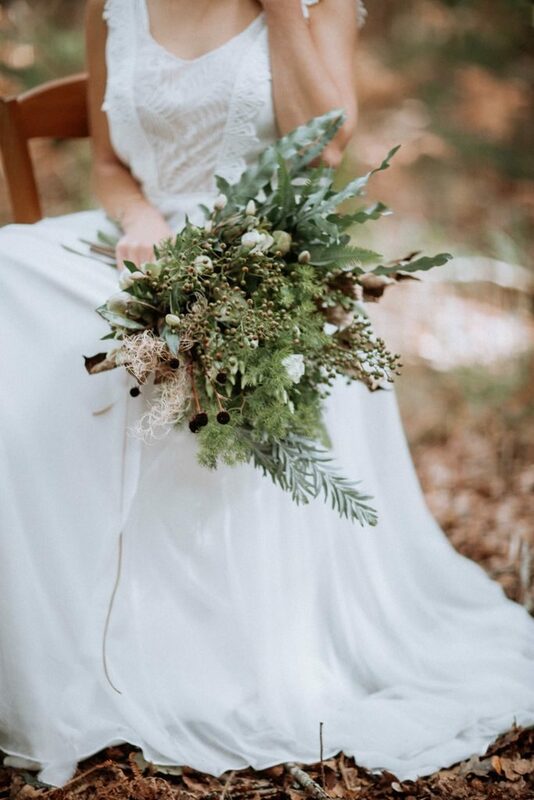 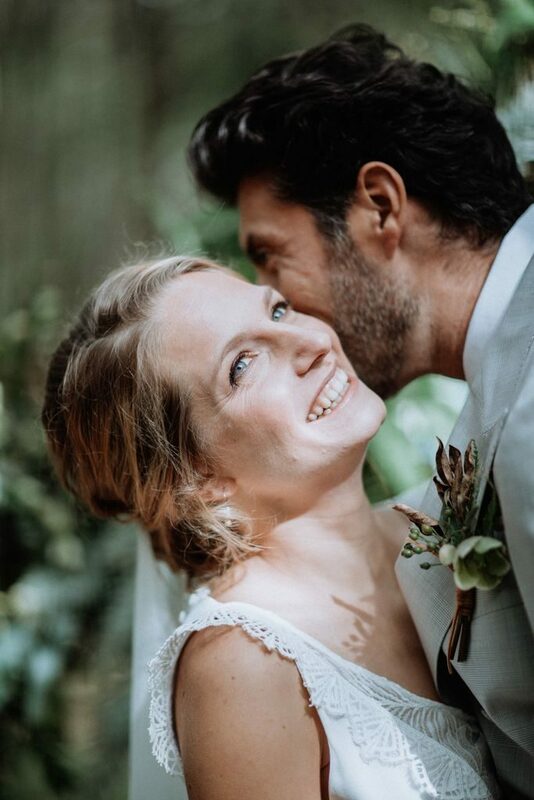 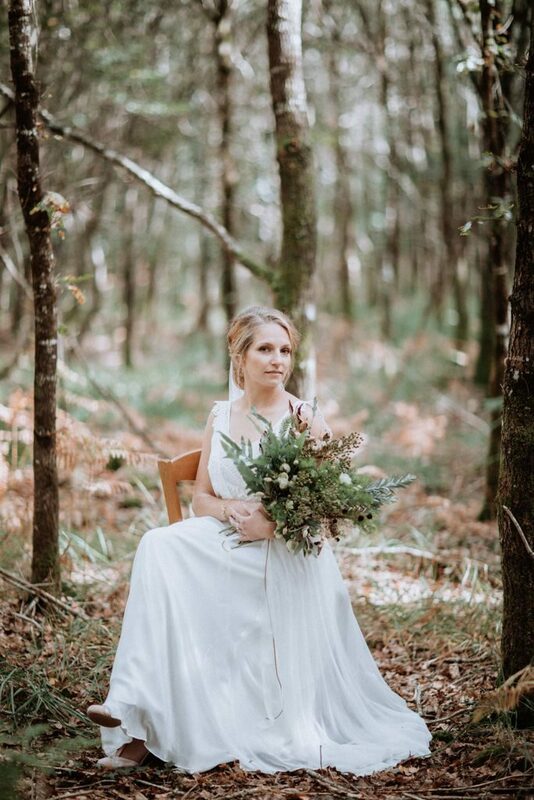 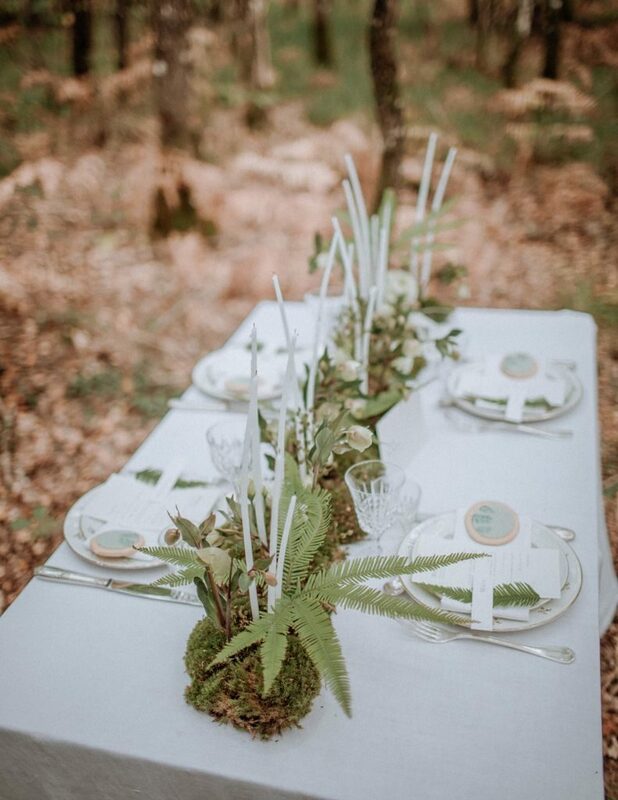 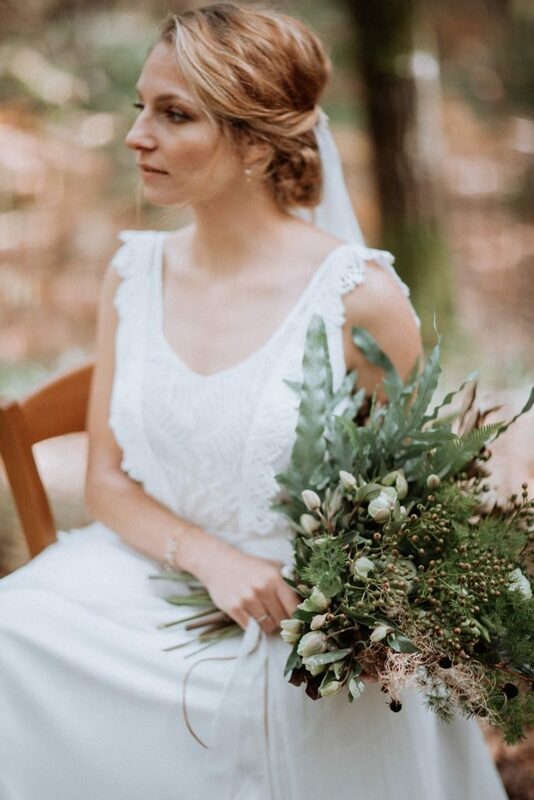 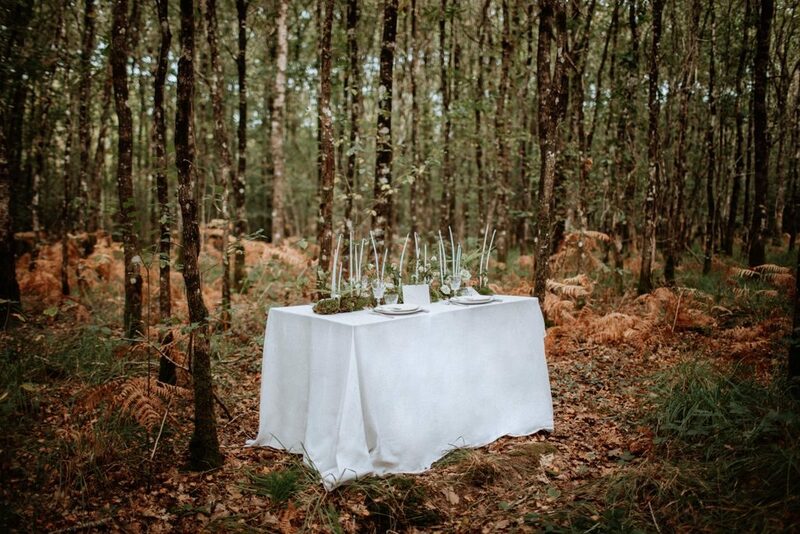 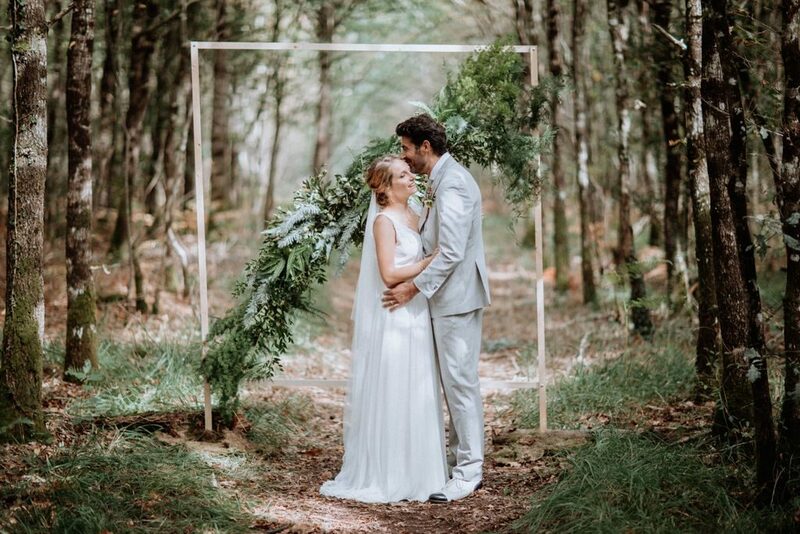 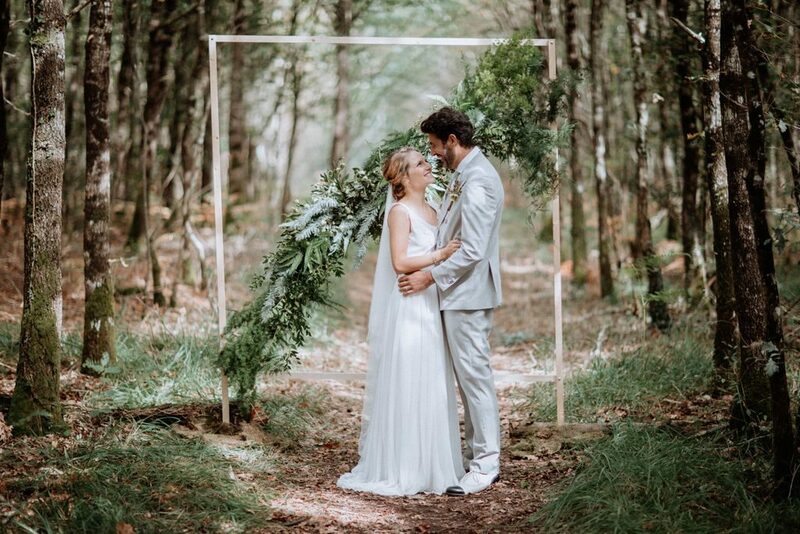 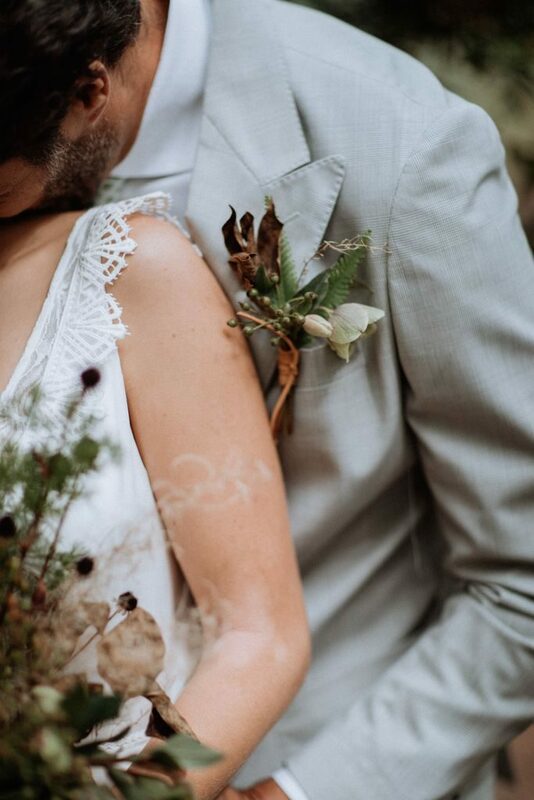 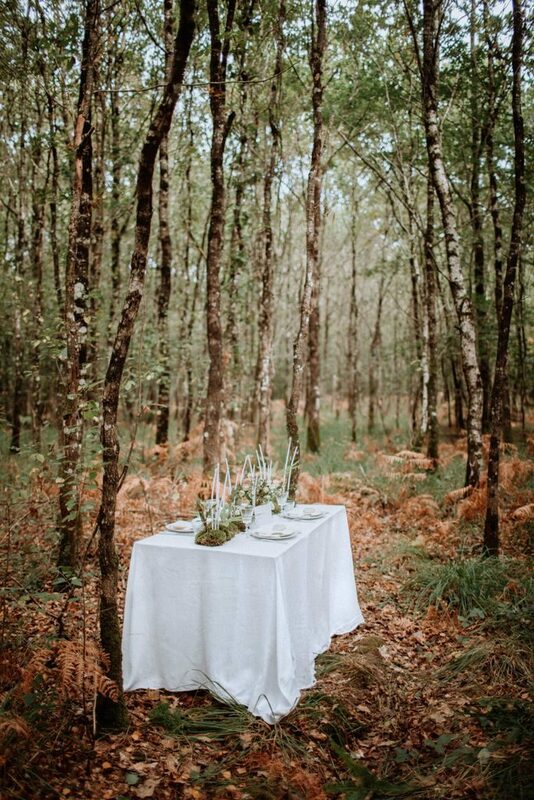 Here are the images of a vegetal and natural editorial shot in the heart of the forest, with a great team of local vendors. 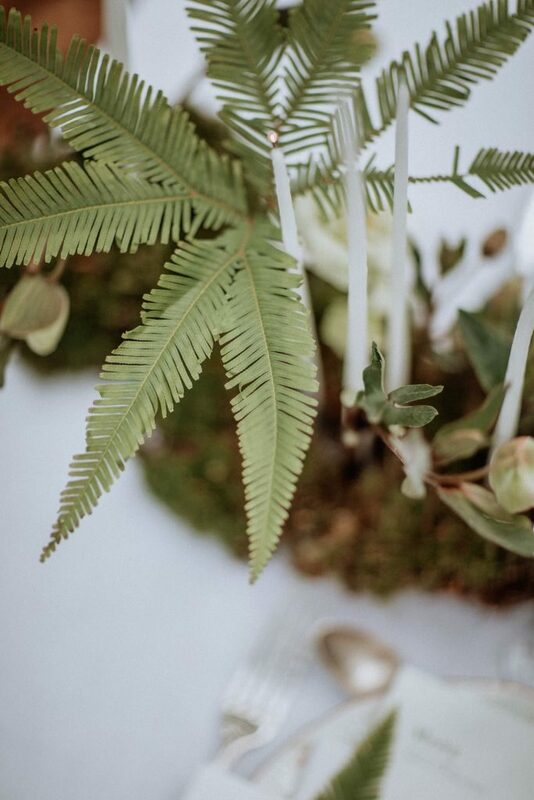 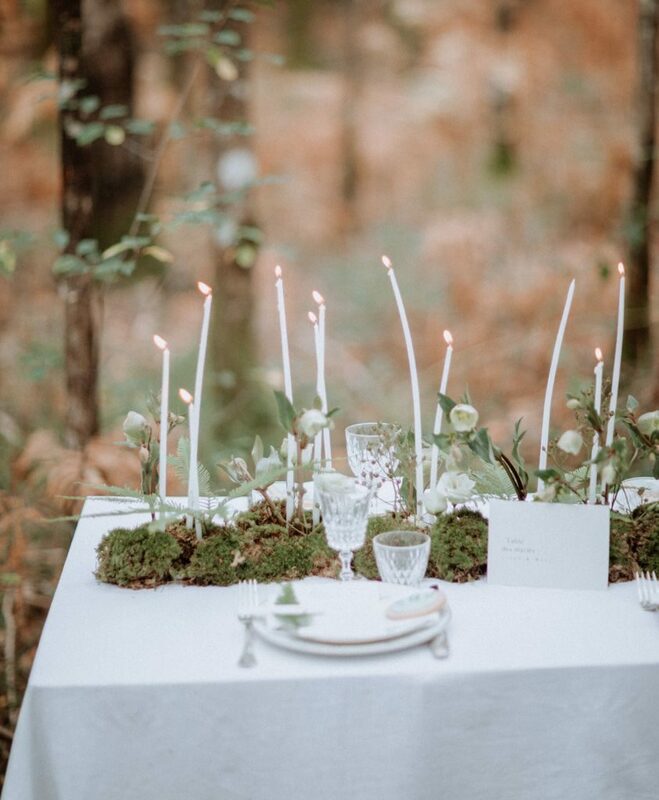 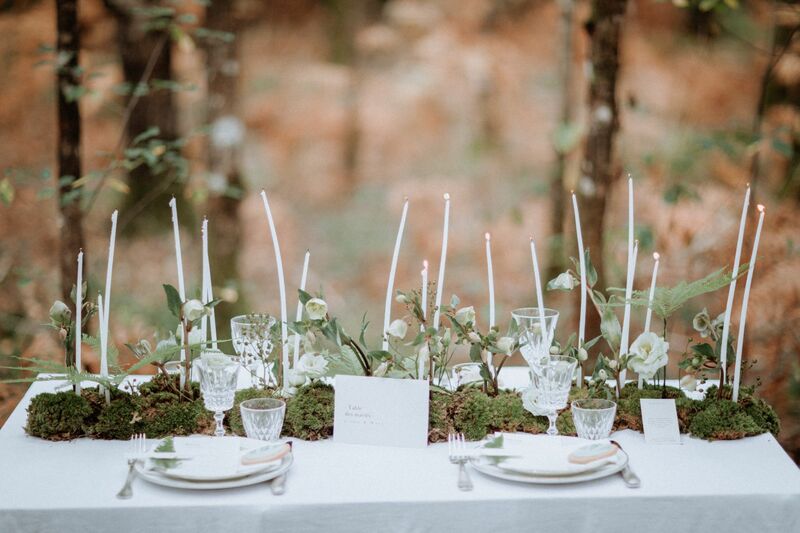 For the table, I chose to create a minimal and long arrangement inspired by nature, starring moss, ferns and hellebores. 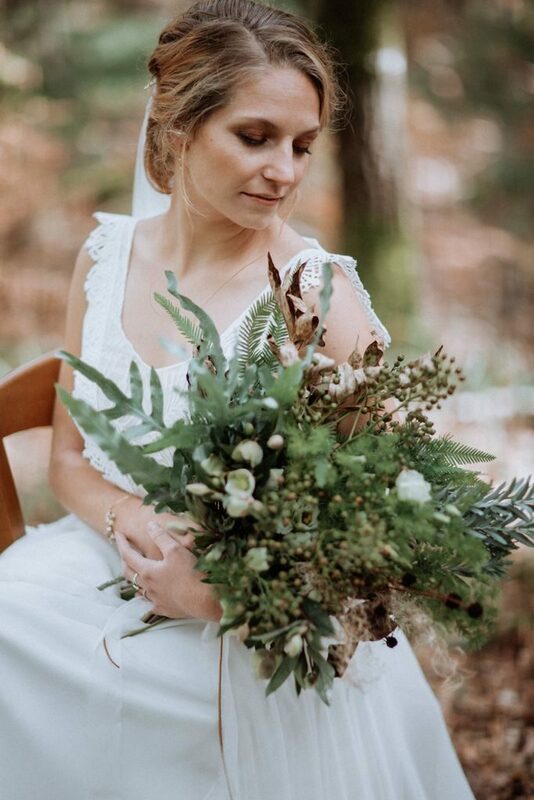 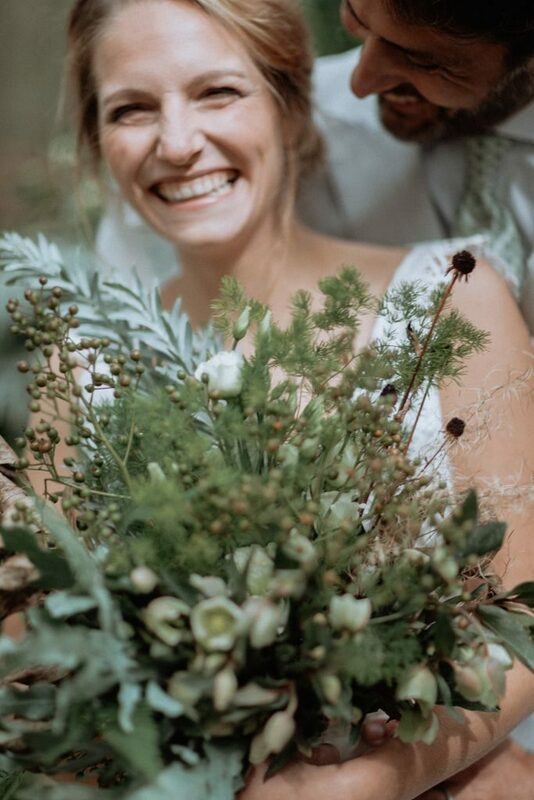 For the arch as well as the bridal bouquet, I played with textures in shades of green and soft brown.